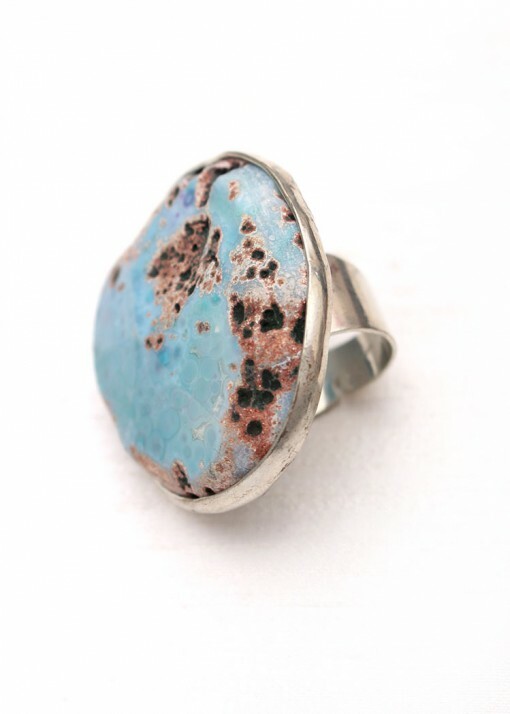 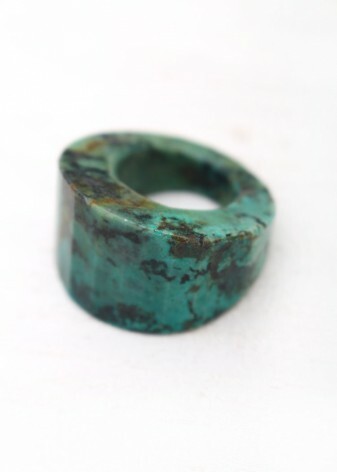 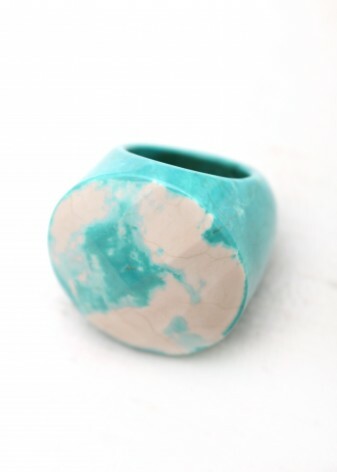 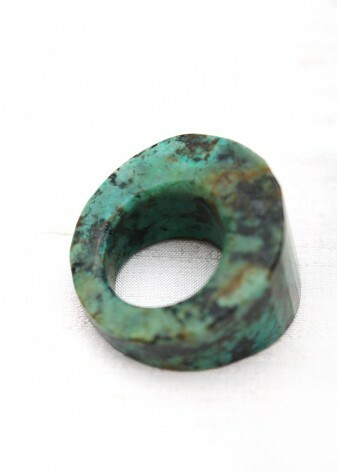 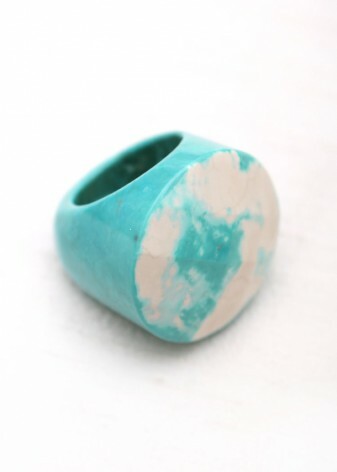 Luscious, oversized African turquoise ring, handmade by our amazing artisan jewellery designers. 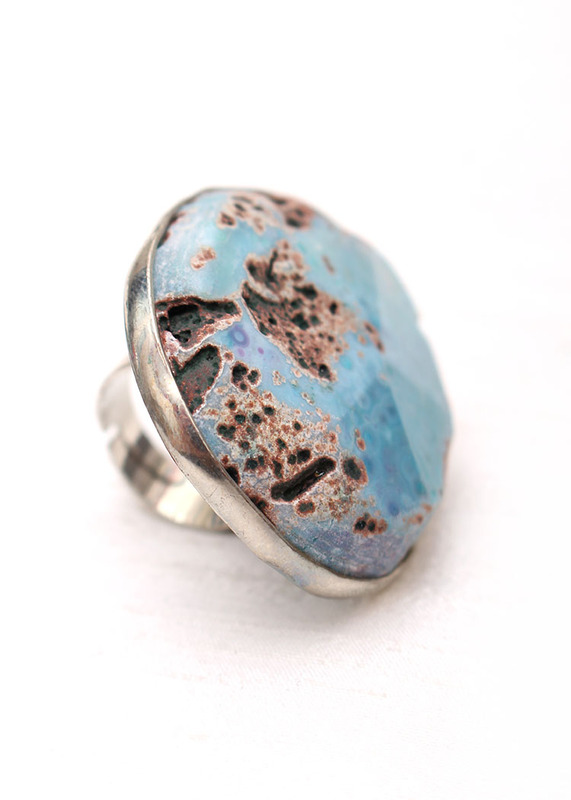 A chunky, hand carved, silver plated, African turquoise stone, sits on an adjustable ring fitting. 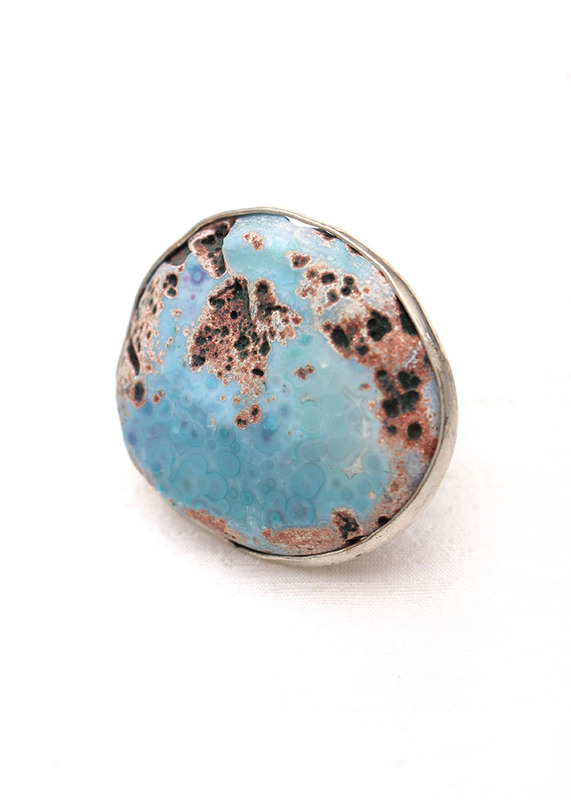 This gorgeous round stone, measuring 4cm in width, features faceted pieces of turquoise and deeper cappuccino pieces of stone. 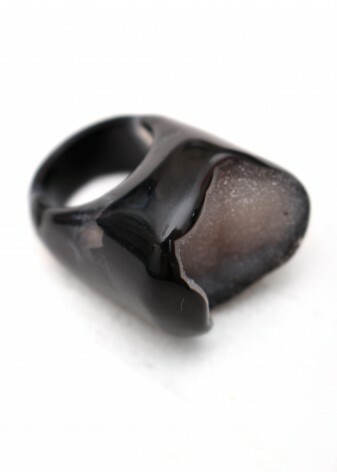 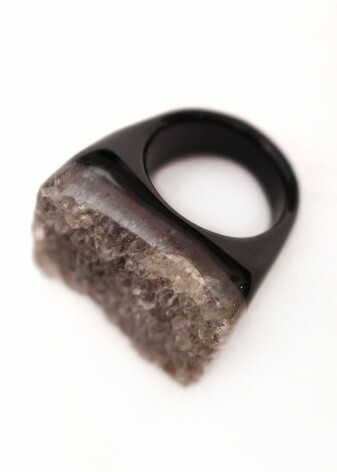 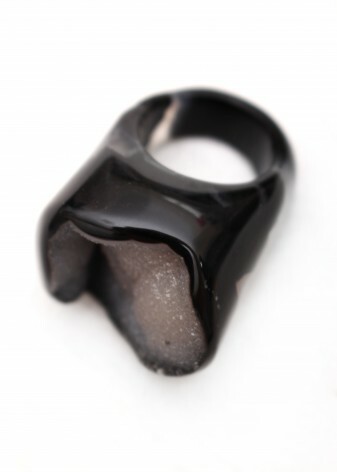 All of our precious stones are hand polished to create a smooth and gleaming finish. 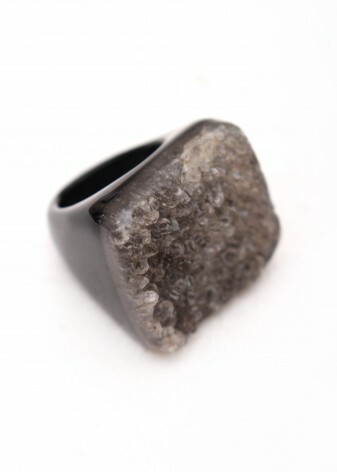 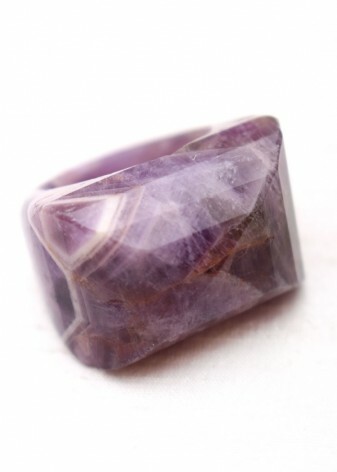 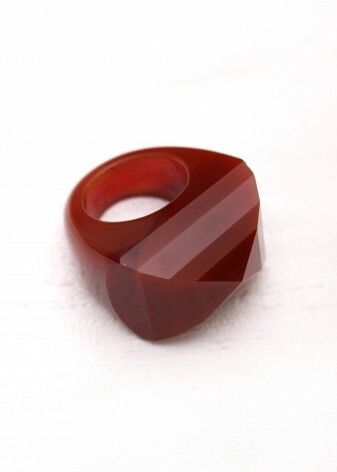 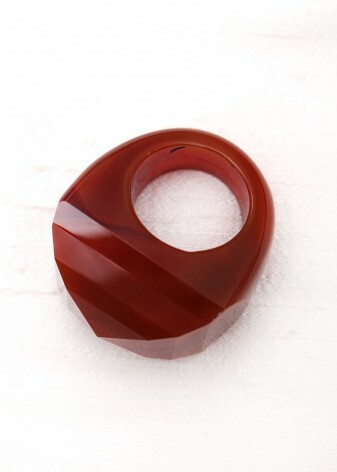 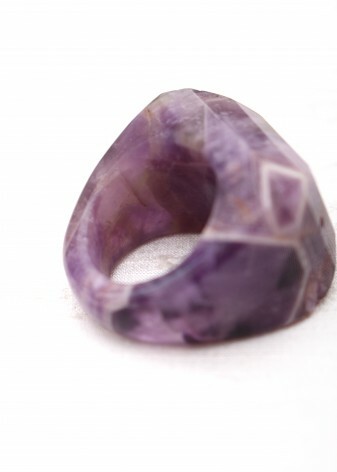 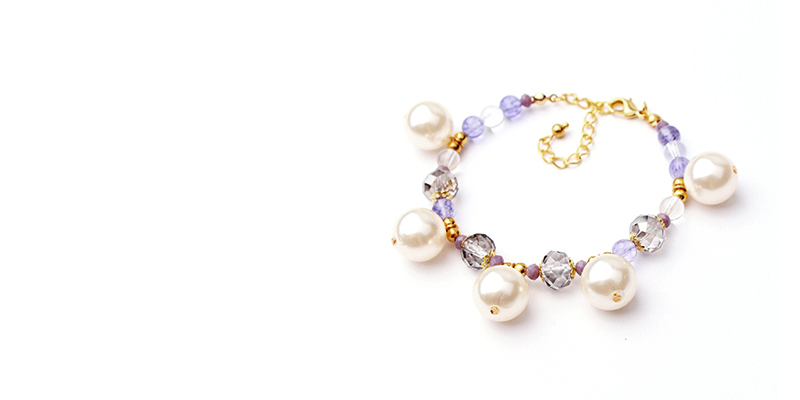 Add a bohemian, vintage look to your outfit with this striking stone and imagine it’s summer all year round.